Earlier this year, I happened upon a documentary in the PBS American Masters series titled, Lorraine Hansberry: Sighted Eyes/Feeling Heart. I had heard the name, Lorraine Hansberry, before. She wrote A Raisin in the Sun and was the first African-American female playwright to have a play performed on Broadway. That's all I knew about her. The documentary showcased a short but vibrant life of work, in which A Raisin in the Sun was only one piece. Hansberry was born to Carl and Nannie Hansberry in Chicago, IL, in 1930. Her father was a prominent real estate broker who fought hard against the segregation in Chicago. This would become a foundation for Hansberry's own activism, and a theme in her famous play. Following her time at college, Hansberry moved to New York City to work as a writer. She wrote for Freedom Newspaper, a political publication addressing racism and colonialism. She wrote extensively on these issues both locally and globally. In 1953, Hanberry married Jewish publisher and activist, Robert Nemiroff. She left Freedom to pursue fiction writing. For a while, she worked part-time jobs and freelanced, until she and her husband could afford for her to focus on her novel and play. During this time, she wrote A Raisin in the Sun. The play would go on to establish Hansberry's career, but it wasn't easy to get the play from paper to stage. A young, unknown, African-American, female playwright didn't draw investors. Producers were convinced that an African-American cast paired with an unknown playwright and an African-American director would not succeed. Despite the skepticism, producer Philip Rose pressed onward to make the play happen. It did succeed, not only for Hansberry and the cast but also for the people the play represented. 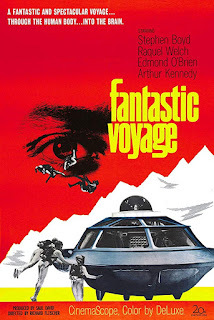 It went on to become a film for which Hansberry wrote the screenplay. It broke away from racial stereotypes in film at that time and set the stage for more honest and realistic portrayals. Hansberry's career flourished from here. She took every interview she could. She talked about the issues presented in the play as well as the issues facing the world around her. Hansberry tackled difficult interviews and tough questions with confident and direct answers. Since her time at Freedom, Hansberry had been on government watchlists for her affiliations with communism and her radical, outspoken political involvement. She did not let any of this keep her from saying what she believed. Hansberry's careers in both writing and politics were varied and passionate. She wrote books, essays, letters and more plays. Her works didn't advocate only for the civil rights movement, but also for women's rights and gay rights. Hansberry identified privately as a lesbian and wrote on the topic in letters and in her diary. Her activism extended beyond her writing too. She also hosted fundraisers to help the civil rights movement and spoke publically against injustice whenever she had the chance. She knew. She reacted. She made great strides for her many causes and her art. She set down a framework for those who would come after her and continue her work. 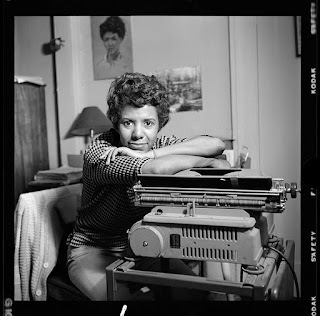 Watch the documentary, Lorraine Hansberry: Sighted Eyes/Feeling Heart. Read about more Hansberry on Biography.com. Read her autobiography, To Be Young, Gifted and Black for an account of her life in her own words.